Anyone can be affected by mouth cancer, whether they have their own teeth or not. 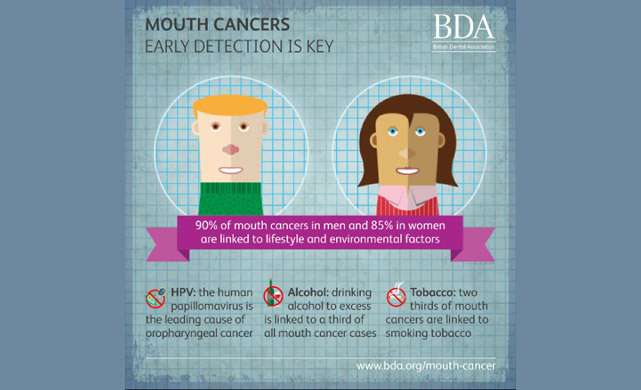 Mouth cancers are more common in people over 40, particularly men. However, research has shown that mouth cancer is becoming more common in younger patients and in women. There are more than 640,000 cases of mouth cancer diagnosed each year worldwide and it is the eleventh most common cancer. 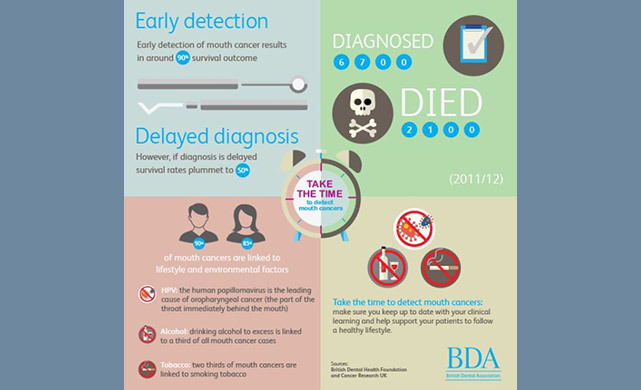 There are, on average, almost 7,000 new cases of mouth cancer diagnosed in the UK each year. The number of new cases of mouth cancer is on the increase, and in the UK has increased by over 50% in the last decade alone. Nearly 2,000 people in the UK die from mouth cancer every year. Many of these deaths could be prevented if the cancer was diagnosed early enough. As it is, people with mouth cancer are more likely to die than those having cervical cancer or melanoma skin cancer. Mouth cancer can appear in different forms and can affect all parts of the mouth, tongue and lips. Mouth cancer can appear as a painless mouth ulcer that does not heal normally. A white or red patch in the mouth can also develop into a cancer. Be aware of any unusual lumps in your mouth or jaw area and any persistent hoarseness. It is important to visit your dentist or doctor if these areas do not heal within three weeks. If you aren't sure, come for a check-up anyway. Remember, your dental team can see parts of your mouth that you cannot see easily yourself. 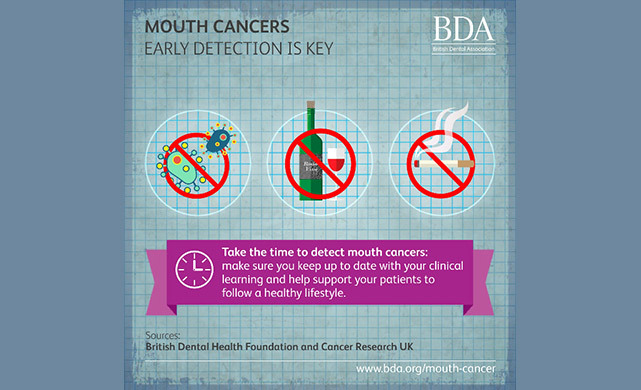 Mouth cancer can often be spotted in its early stages by your dentist during a thorough mouth examination. 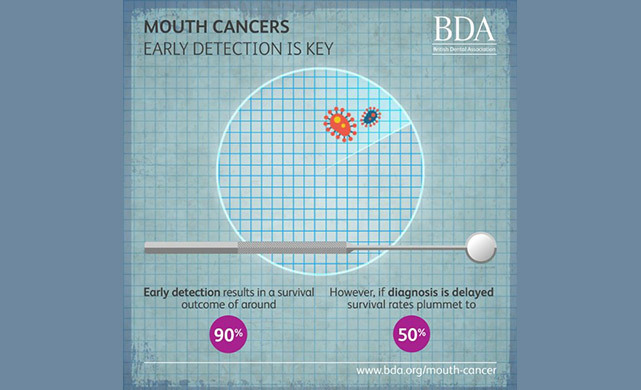 If mouth cancer is diagnosed early, then the chances of a cure are good. Many people with mouth cancer go to their dentist or doctor too late.